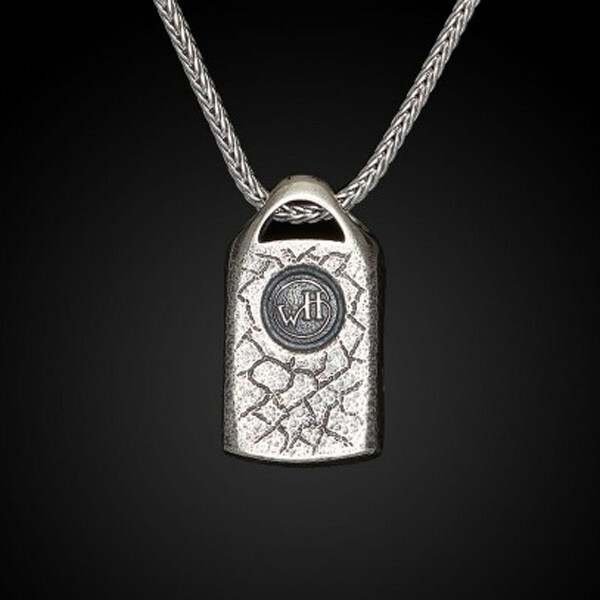 Ignite some interest with this William Henry dog tag necklace, part of the designer's On the Neck collection. 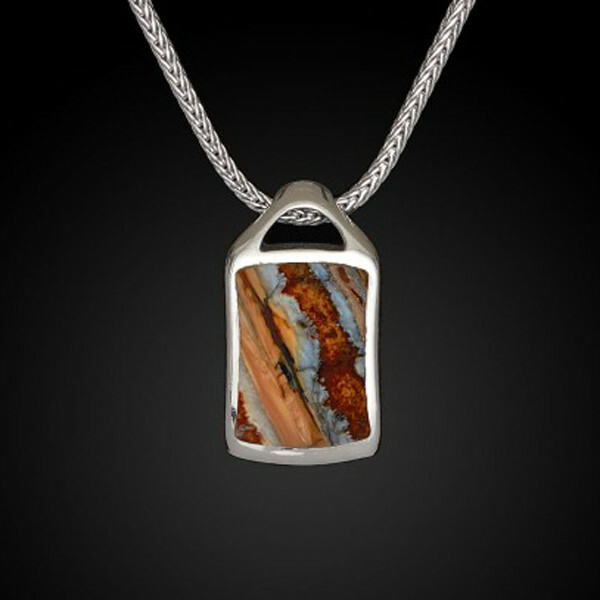 Crafted in sterling silver, the simple and understated pendant features a hand-cut leaf-like pattern and fossilized woolly mammoth tooth inlay. The ornament is suspended on a 22" woven precious metal chain with an antique finish. This William Henry necklace is bound to generate some positive comments!